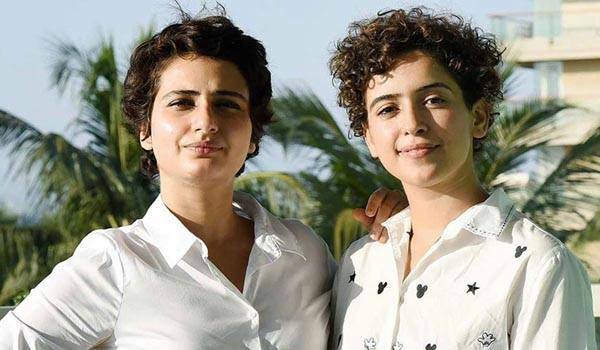 Mumbai: Fatima Sana Shaikh and Sanya Malhotra, who were last seen in the blockbuster film 'Dangal', have been signed as the brand ambassadors for a famous chocolate brand 'Kitkat'. The young actresses become the celebrity brand ambassadors for the brand for the very first time in India. The 'Dangal' girls shared impeccable chemistry onscreen in their debut film. They shared a few videos on their respective Instagram accounts in which the duo can be seen dancing their heart out in the middle of the street in Europe. The duo took to the streets and danced like no one's watching giving major friendship goals to everyone. Needless to say, the video has now gone viral on social media platforms and is breaking the internet. Fatima and Sanya recently visited China and from there, they shared several postcard-worthy pictures. They together attended the 4th Annual International Jackie Chan Action Movie Week. Fatima Sana Shaikh to share screen with Varun Dhawan! ‘Thugs of Hindostan’ has ‘Game of Thrones’ connection!